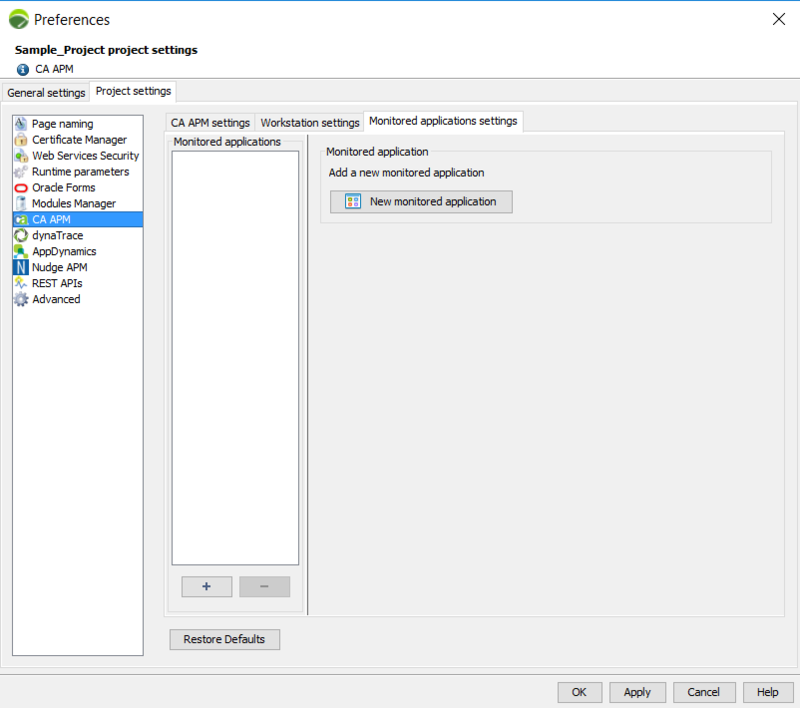 In the Monitored applications settings tab of the CA APM preferences panel, the New monitored application button can be used to add a new application to be monitored by a CA APM agent. Clicking on the button displays a pop-up window in which the name of the application to monitor can be entered. Application Name: The name of the application to be monitored must be the application name defined in CA APM. The application name is case-sensitive. Application mapping: Mapping the monitored application enables NeoLoad requests to be associated with the monitored application. For example, all the requests beginning with the /jpetstore pattern are associated with the My JPetStore application. The monitored application mapping is case-sensitive. Host: The agent host corresponds to the domain name of the CA APM agent monitoring the application in question. The value of this field corresponds to the agent hostname as shown in CA APM. The CA APM agent hostname is case-sensitive. Process name: The CA APM agent process name is defined in the agent profile and corresponds to the agent process name as shown in CA APM. When the agent has been installed with the installer, the field corresponds to the name defined during installation. The CA APM agent process name is case-sensitive. Agent name: The CA APM agent name is defined in the agent profile and corresponds to the agent name as shown in CA APM. When the agent has been installed using the installer, the field corresponds to the name defined during installation. The CA APM agent name is case-sensitive. Launch CA APM Workstation tool: This button makes it possible to test the parameters set in the preceding sections. 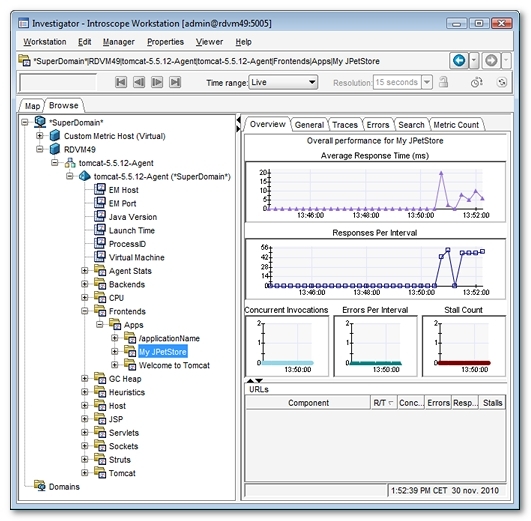 The CA APM Workstation opens and the node that corresponds to the monitored application must be selected. If this fails, the monitored application settings are incorrect. Application server name is a list box which allows associating the monitored application with an HTTP server. A right-click on an existing monitored application makes it possible to duplicate it. 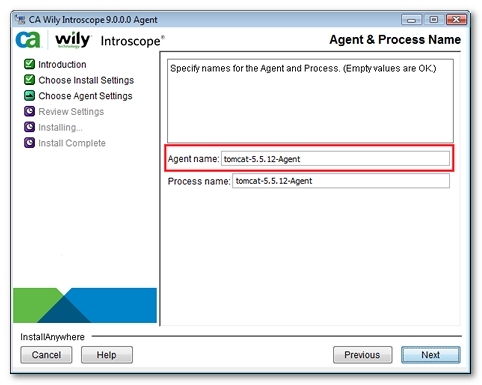 This avoids having to repeat the agent configuration for each application that may be monitored by a same agent.